This TC style hollow body guitar features an attractive American white swamp ash body in natural finish with a contrasting pickguard. 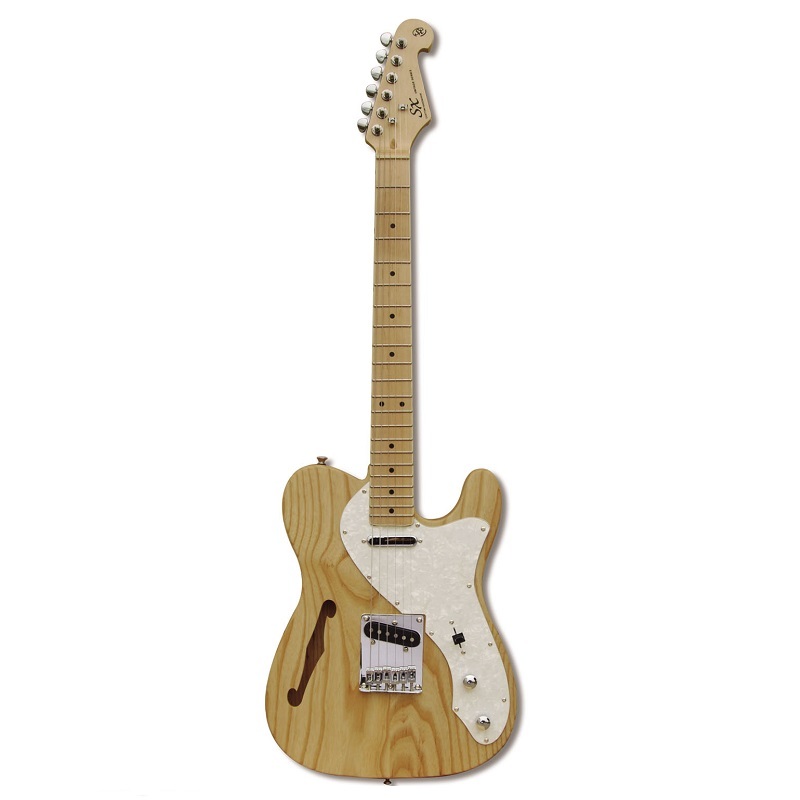 It has a maple neck for smooth playing and it is fitted with diecast chrome machine heads. It offers a great sound that is perfect for rock, jazz, blues and country styles.